I’ve seen people do crazy things to get rid of blackheads. I am a licensed cosmetologist & have studied the structure of the skin so umm guys I know what I’m talking about. The stupidest thing I have heard someone say was “vaseline gets rid of blackheads.” Let me break the truth to you…that is physically impossible! I don’t know where people get these ideas from but anyways enough of me ranting, let me tell you what works. I have very oily skin & clogged pores which need to be decongested on a daily basis. 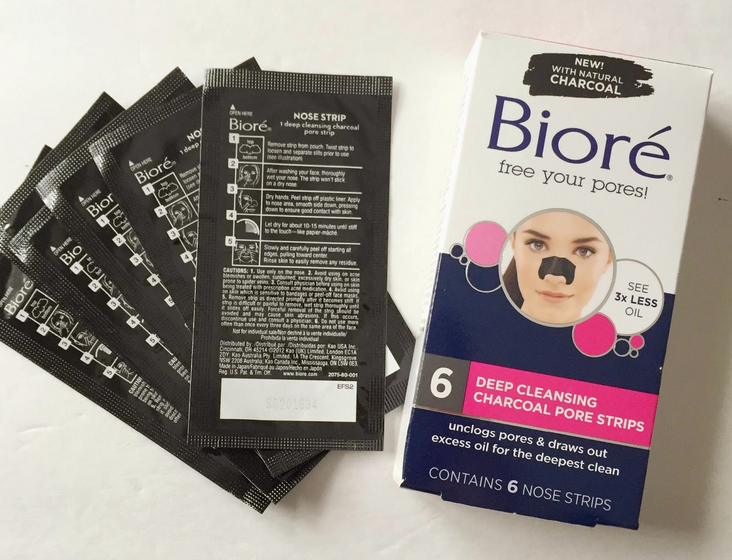 Nothing works like these strips, it pulls the nasty blackheads right out! They are so worth it & aren’t expensive…you can get them here. Let me know how it goes, I know you’ll love it! Hope you are having a great morning or night wherever you are!